Maxicom Global is one of the leading buyer of data center equipment. Whether you have older HP, IBM, DELL, CISCO, Nortel or Avaya equipment, ours buy back program gives you top money for your outdated/ retired IT and networking equipment. Reach out to us to get instant quotes about your IT disposal needs, savings and our data destruction services. We buy back used servers, storage and networking equipment's of all major brand IBM, HP, DELL, CISCO etc. You can refresh or upgrade your DATA CENTER EQUIPMENT or corporate IT equipment by taking help of our IT assets disposal programs. Remove your old equipment and upgrade with new one. We make it simple for buy and sell from same company . 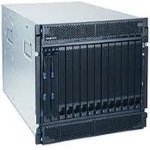 All refurbished servers for sale at Maxicom Global are tested and certified for maximum quality, performance and efficiency, so you know that you'll be getting hardware that works as it should, right out of the box. 1. Send request quote: email: your requirement list.